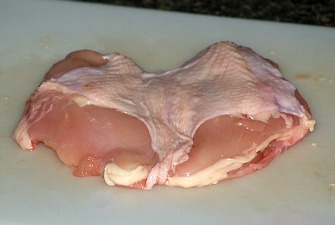 Knowing how to cook chicken breast is important to prevent the meat from drying out. This part of the bird is all the white meat which is the dryer part of the bird. For many of us the meat can become too dried out to eat if not cooked properly. When cooked correctly, it is succulent and delicious. For most Americans, knowing how to cook chicken breast is the only thing they care to know when it comes to this bird; they won’t even eat the darker meat. This has become the highest sales of chicken parts in this country. Even though the price of chicken breasts far exceed the whole chicken or other parts, most people still purchase the breasts separately. The demand to learn how to cook chicken breast and the demand to purchase this white meat has risen over the past years greatly. If fact, it has become so great that special breeding has been implemented to raise chickens with very large breasts; much greater than the rest of the body. This has been done solely to supply the demand of the consumers. I personally prefer the darker more moist meat of the chicken but I do know how to cook chicken breast in many succulent recipes. Chicken breasts are good quickly fried. I cut a whole one into four pieces before breading. I also filet the thicker areas; they fry quicker making the meat more succulent. I have learned how to cook chicken breast in the oven using added ingredients which keeps the meat moist. 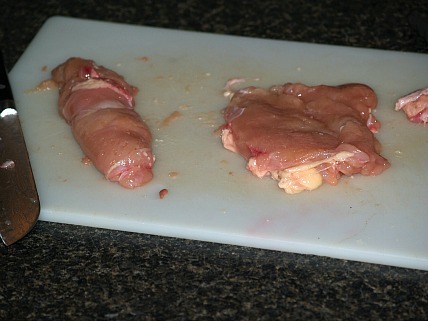 By pounding the breast out to an equal thickness, stuffing and other fillings can be rolled up in the breast before cooking adding flavor and moistness. Recipes for chicken breasts can also be made more moist and delicious by pouring sauces over the meat before baking. Below you will find several recipes for chicken breasts which are succulent and deliciously flavored. Lightly grease a baking casserole dish or pan. Combine the crumbs, cheese, oregano, salt and pepper. Set aside. Sauté the garlic in 2 tablespoons melted butter. Add remaining melted butter. Dip chicken in the garlic butter and then roll in the bread crumb mixture. Arrange in the casserole dish and bake for 50 minutes. 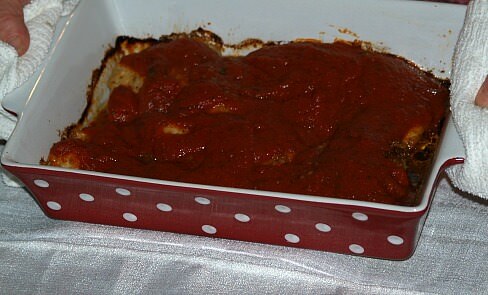 Cover with a jar of spaghetti sauce and return to the oven for 10 minutes more. Serve over pasta and with a salad. When learning how to cook chicken breast or cordon bleu, you know to use the chicken breast here also. Combine all the ingredients and heat, stirring until thickened. Lightly grease a flat casserole baking dish or pan. Pound out the chicken breasts until all the same thicken. Place a tablespoon of cheese sauce on each flat chicken breast. Place a slice of cheese on top of sauce; then a slice of ham on top of the cheese slice. Start at the smallest end, rolling up like a jelly roll. Secure roll with toothpicks. Roll in melted butter, then cornflakes. Arrange in casserole dish and bake for about 50 minutes or until chicken appears cooked throughout. Serve with noodles and remaining hot cheese sauce on top. Add a salad and have a complete meal. Roll chicken in parsley and garlic; sprinkle with salt and pepper. Coat chicken with flour; brown chicken in skillet with melted butter. Dissolve bouillon cubes in water and combine with the Coca Cola. Pour mixture over the chicken; bake uncovered for 2 hours or until tender.